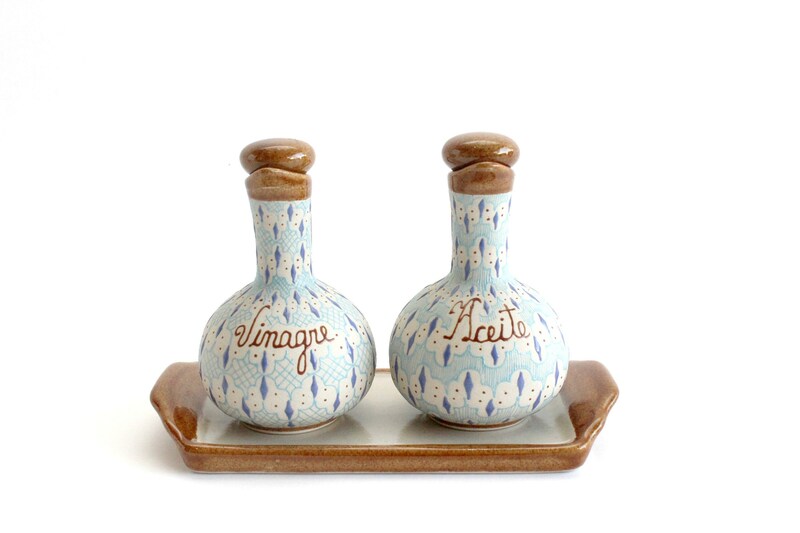 Beautiful oil and vinegar bottle set, made in Mexico. 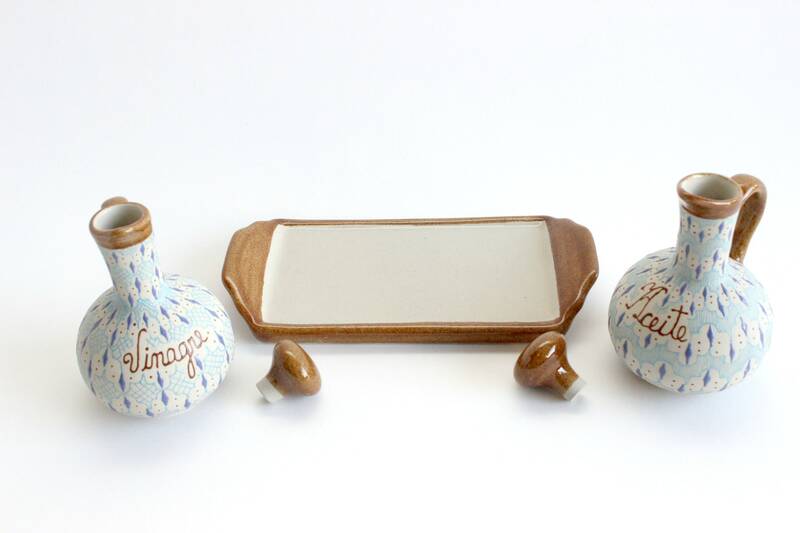 This set is made of clay and includes 1 tray and 2 bottles. 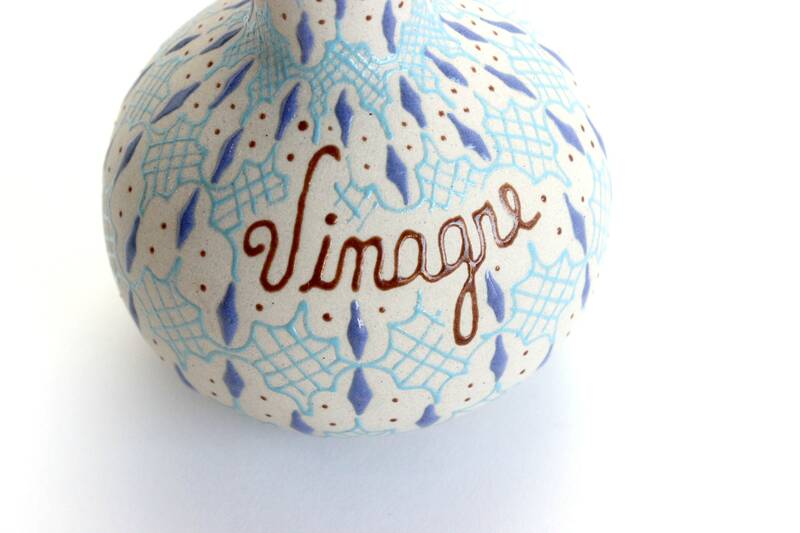 Each bottle is labeled in Spanish, "Vinagre" and "Aceite." 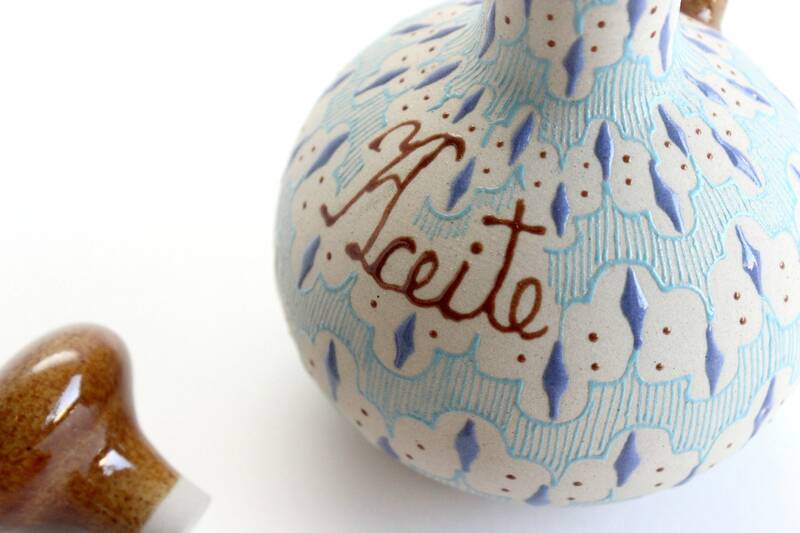 Each bottle also has its own unique hand painted design and a matching clay stopper. 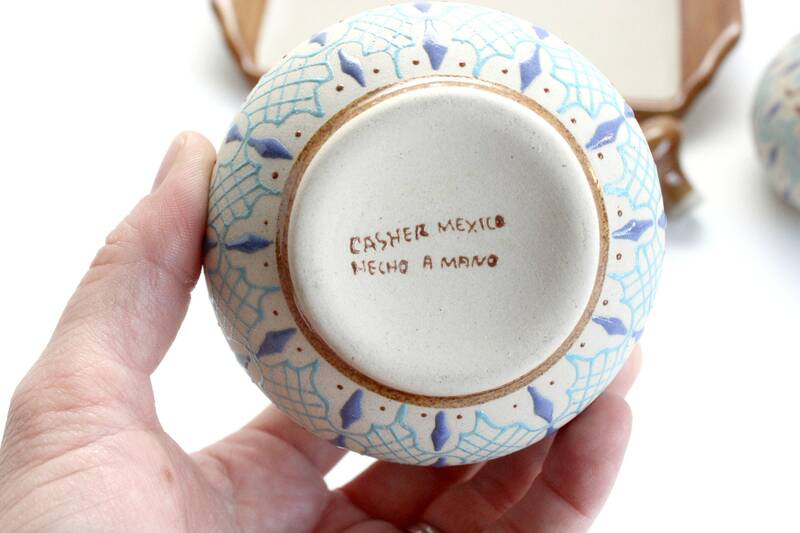 All pieces are marked on the bottom, "Casher Mexico, Hecho A Mano." 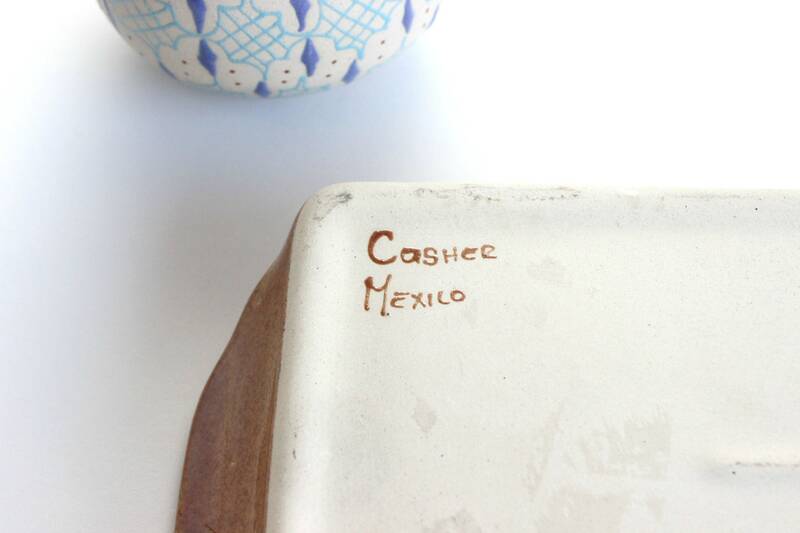 Plate measures 8.75 inches long and 4.25 inches wide. Both bottles fit on the plate. 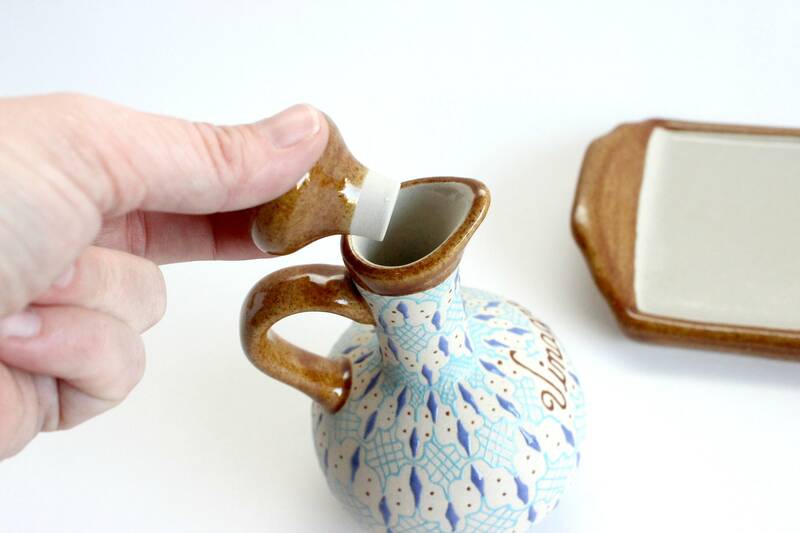 Each bottle is 3.25 inches wide and 5.5 inches tall.